Carnegie Public Library is proud to introduce Ellie Hay, the most recent young reader to read all 100 of Anita Silvey’s 100 Best Books for Children. Ellie, shown here with her trophy, and her family have read these 100 books and many other selections. To discover these and other great books, or for information about the 100 best children’s books, please visit the children’s department at Carnegie Public Library. 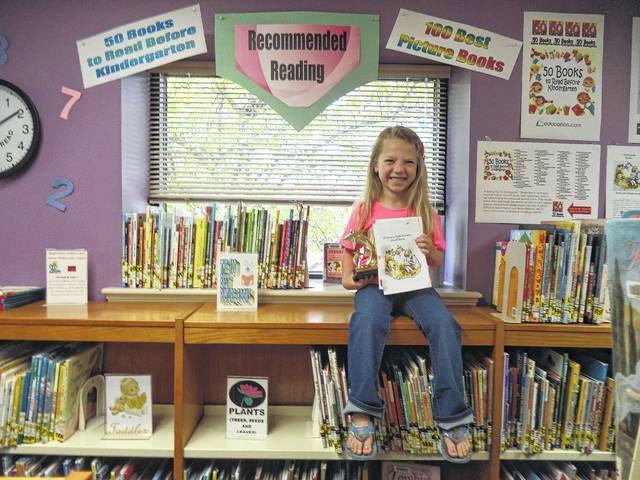 https://www.recordherald.com/wp-content/uploads/sites/27/2017/09/web1_Ellie-Hay-100-Books.jpgCarnegie Public Library is proud to introduce Ellie Hay, the most recent young reader to read all 100 of Anita Silvey’s 100 Best Books for Children. Ellie, shown here with her trophy, and her family have read these 100 books and many other selections. To discover these and other great books, or for information about the 100 best children’s books, please visit the children’s department at Carnegie Public Library.